Bali Trekking and Elephant Ride Tour is an Bali Double Activities Tour Packages we designed to make double experience while your holiday by doing Mount Batur Sunrise Trekking Tour and then we continue to riding an Elephant at the parks for 30 minutes. Firstly the amazing Bali driver will pick up in early morning to start the double adventure, firstly we will do the mount batur sunrise trekking tour, we will arrive at trekking start point at 04,00 am and start the 2 hours trekking to the top, after arrive at the tio you will amazed with view and scenery of volcano and the sunrise, while enjoy the view, our trekking guide will serve the breakfast consist of bread and egg, after finish enjoy breakfast and see the amazing view we will heading back to finish point and will take around 2 hours to go back. And then we will continue your adventure by allowed you to riding the 30 minutes riding an elephant through the jungle and passed the local village to see daily activities of local community village. After riding an elephant you will enjoy the delicious lunch buffet Indonesian food. After lunch we will heading back to your hotel with bring a wonderful memory. This Bali Trekking and Elephant Ride Tour is more amazing with assist by our professional Bali Tour Driver. 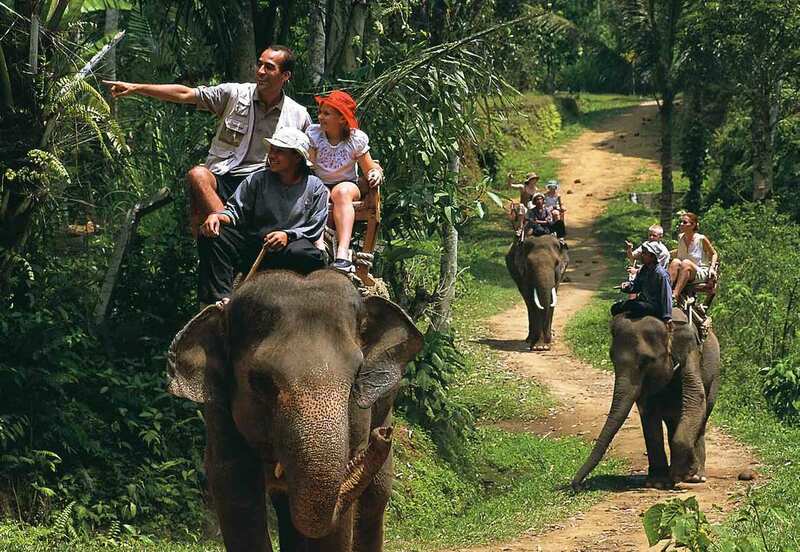 Bali Elephant Ride Tour is some great adventure to riding an Elephant in Bali islands, This journey will give amazing experience to sit on teak chair on the top of the elephant and see the beautiful panorama view surrounds the parks. The elephant parks we will visit is the Bakas Elephant Park in Kelungkung regency, in here you will riding an elephant or 30 minutes ride and will assist by professional Elephant Tour Guide. You will go along green bushes and side of river. During the Elephant Trip you will also see beautiful green hill and sometimes appearance of monkey's.